stunning views of the sunset. 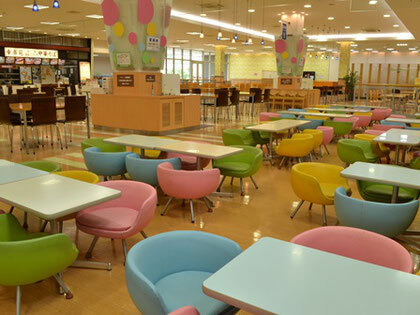 Aeon Mall Rinku Sennan Food Court has 16 restaurants that serve just about everything from pork cutlet to ramen and many others.Spaciously built to accommodate 1,050 seats, the food court also, offers a view of Osaka Bay from the terrace seats. The spectacular sunset view was voted one of the top 100 in the country. Mogu Mogu Kitchen, located inside Rinku Pleasure Town Seacle's Food Court, has burgers, omurice, ramen, and many other great options. Your favorite selections are right at your fingertips. It seats 430, with an area furnished with small chairs dedicated to families with small children. 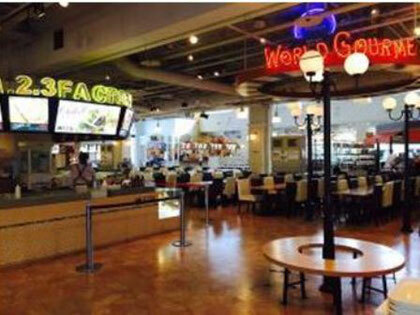 Pick any one of the popular eateries, whether for dining or simply sipping on a cup of coffee. The Food Court at Rinku Premium Outlet has 12 restaurants, from Japanese to western cuisine, and sweet treats for the entire family. Free wi-if is also available.